A few weeks ago, speculation hit the media circuit that Draftfcb, a global advertising agency owned by the New York Stock Exchange-listed Interpublic Group (IPG), was in talks to buy a Cape Town-based award-winning digital agency called HelloComputer. It’s true: HelloComputer has been bought! In an exclusive interview with the shareholders of HelloComputer, we learned that this acquisition will see Draftfcb’s current digital arm, Mesh Interactive, be absorbed by HelloComputer. At the helm of HelloComputer is co-founder Mark Tomlinson and Managing Director David Moffatt, who have been in the digital space for more than a decade. Moffatt, who also happens to be the lead guitarist for SAMA winning alternative rock band The Dirty Skirts, sees the acquisition as the “next logical step” in the evolution of the company. “The merge will see two relatively small agencies become a combined force of 80 people with established footprints in both Johannesburg and Cape Town. The relationship with Draftfcb is a symbiotic one, collectively we will deliver truly integrated communications,” says Moffatt. 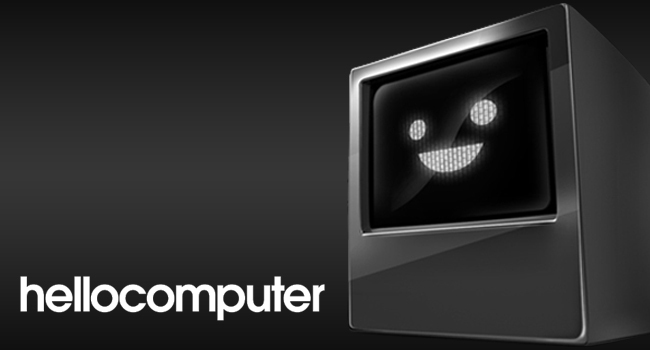 Hellocomputer has sustained seven successful years in digital marketing, having won more than 60 awards, including the Grand Prix at the 2011 Loerie Awards for work it did for South African music and DVD retail outlet, Musica. The Loerie Awards 2011 official rankings also ranked the outfit as the top digital agency of the year. Draftfcb is considered “one of the largest global advertising agency networks” and was acquired by the Interpublic Group of Companies in 2006. They currently have at least 30 full service agencies in Africa and more around the world. Commenting on the acquisition, Draftfcb CEO John Dixon said that in a communications landscape where outstanding creativity that delivers clear results is increasingly demanded, HelloComputer was a perfect fit. This acquisition will not see Hellocomputer change its name. Although it will form part of the Draftfcb group, it will still remain an independent specialist company with its own culture and processes. “Dave and I will still lead the business and the everyday running of Hellocomputer,” says Tomlinson. This does present an interesting question about the future of digital agencies and partnerships with traditional agencies to ensure their continuity. “I don’t think digital agencies need traditional agencies to excel necessarily. But there is a pervasive ‘lead’ agency mentality in South Africa, in that many clients look to their lead agency to resolve all its communications, even if that agency doesn’t have digital capabilities,” explains Moffatt. Neither party could reveal how much the acquisition was worth at this stage. “IPG is a listed entity, so governance issues prevent us from discussing the value of the deal,” says Tomlinson.